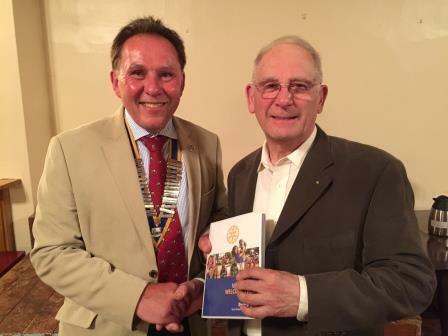 If you're not a member now is a great time to find out all about Rotary, its aims and ideals. "Oh Boy! "Buddy" does it again! Report - The Buddy Holly Story returned to the Duchess Theatre, read about it here. Report - Church Wilne Rotary members, partners and guests attended an informal Indoor Bowling eveningi in Long Eaton. Congratulations to Our President, Andy Cartwright, and Inner Wheel President, Andrea Tew, who managed to climb Mount Kilimanjaro. They are raising money for Derby Mountain Rescue, Breast Cancer Care and NSPCC. For more information and to donate to these worthy causes, please click here to go to their MyDonate fundraising page. Report - The Presentation Evening for the Horse Ride was held recently to present cheques to our 3 Charity beneficiaries, Treetops Hospice, Derby Mountain Rescue and Air Ambulance. Have you ever wondered what our speaker meeting are like? Are you visiting the club as a guest or speaker? To see or download the running order of our speaker meetings, click here. Why not help Church Wilne Rotary raise money for Charity by using Give as You Live when you do your internet shopping. Your qualifying purchases raise an amount for the Charity at no cost to you. 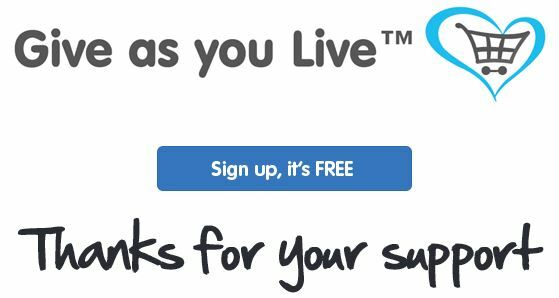 Sign up to Give As You Live today, select Church Wilne Rotary Trust as the Charity and your purchases will earn money for local charities. Find out here about the International Fellowship of Motorcycling Rotarians (IFMR) and other Rotary fellowships. Report as President Adrian presents a cheque to young Joshua to help with the cost of maintaining Joshua's wheelchair and equipment. 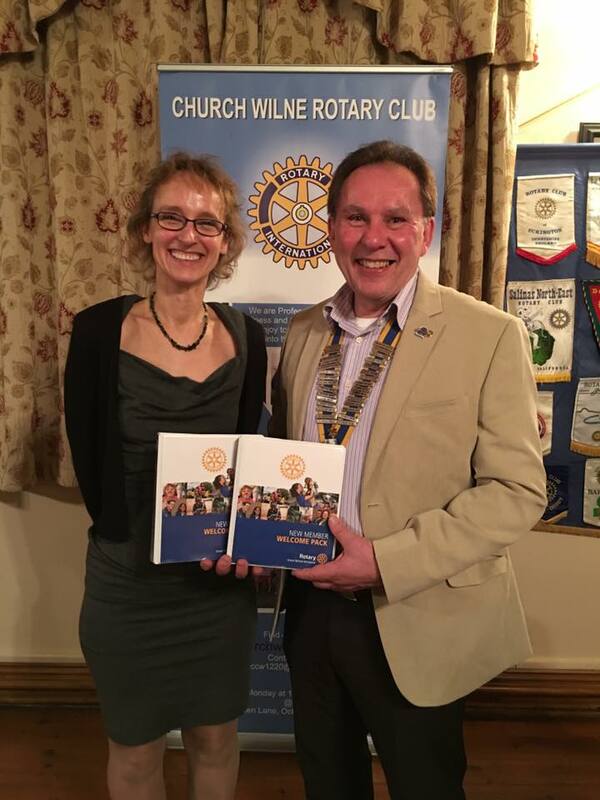 Report as the Presidents of Church Wilne Rotary and Church Wilne Inner Wheel celebrate the start of their year in office with a lunch and entertainment at Risley Village Hall. 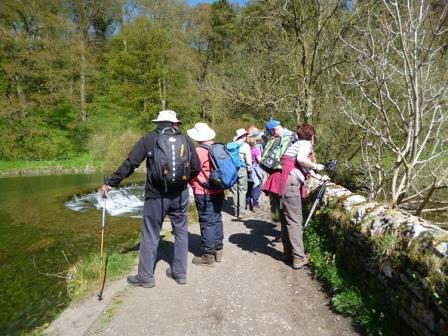 Report as Church Wilne Rotary take a circular summer walk from Somerby near Melton Mowbray. 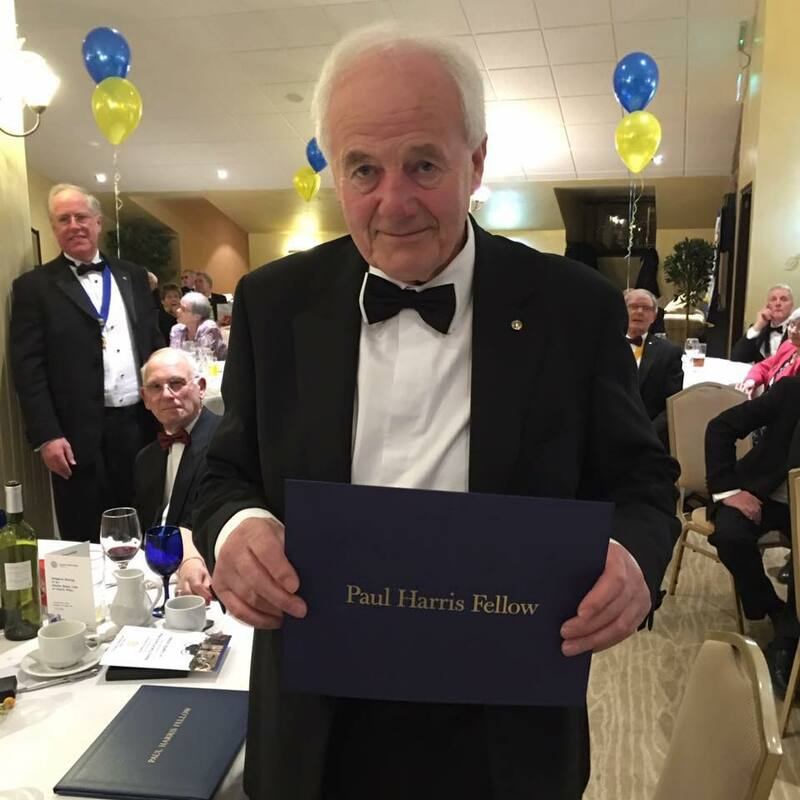 Report on our 32nd Charter Celebrations held at Trent Lock Golf and Country Club. 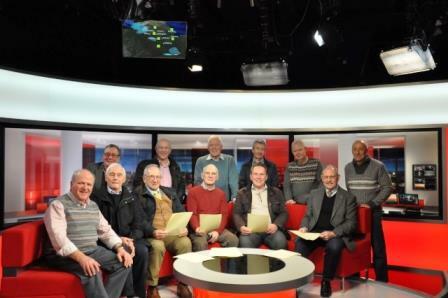 Report on our visit to the studios of BBC Radio Nottingham and East Midlands Today TV. Join us on our traditional Christmas Walk on Tuesday 27th December 2016. Details about the walk can be found here. Welcome to our new member, John Hollingworth. Report on the induction of our latest member. Welcome to our new member, Malcolm Chapman. Welcome to our new member, Annette Rittig. See the results of Rotarian Adrian Perkins helping Draycott in Bloom plant 3,500 purple crocus bulbs supplied by the Club in aid of Polio Plus and the End Polio Now campaign. Welcome to our new member, Dave Hewitt. Report as Church Wilne Rotary have a social evening playing Indoor Bowls. 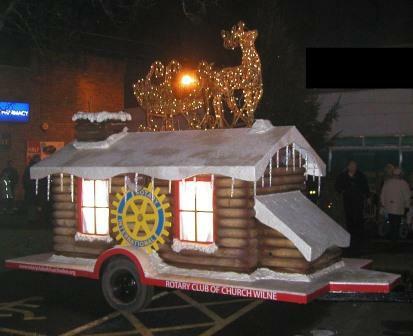 Report as Church Wilne Rotary celebrate the successful Charity Horse Ride with a Presentation Evening. Report as Church Wilne Rotary members attend the Remembrance Day Services at Draycott and Ockbrook/Borrowash. Report on the World Polio Day Events and an update on Polio Eradication. Press Release - Church Wilne Rotary made a donation to Hugo and his Mum, Lauren, to help with Physiotherapy. Press Release - Church Wilne Rotary visited Friesland School, Sandiacre to assist at a Careers Convention. Press Release - Church Wilne Rotary visit the Derby Rifle and Pistol Club for an evening of Target Shooting. Event Report - Church Wilne Rotary's Annual Golf Competition took place at the Chilwell Manor Golf Club. Read how it went. Press Release - Church Wilne Rotary held a Classic and Vintage Car Show complete with BBQ at the Royal Oak in Ockbrook to end the Rotary Year off in style. Press Release - Church Wilne Rotary present Borrowash in Bloom with a 4-tier Planter. Press Release - Church Wilne Rotary visited the JCB Factory at Uttoxeter in order to have a tour around the site. 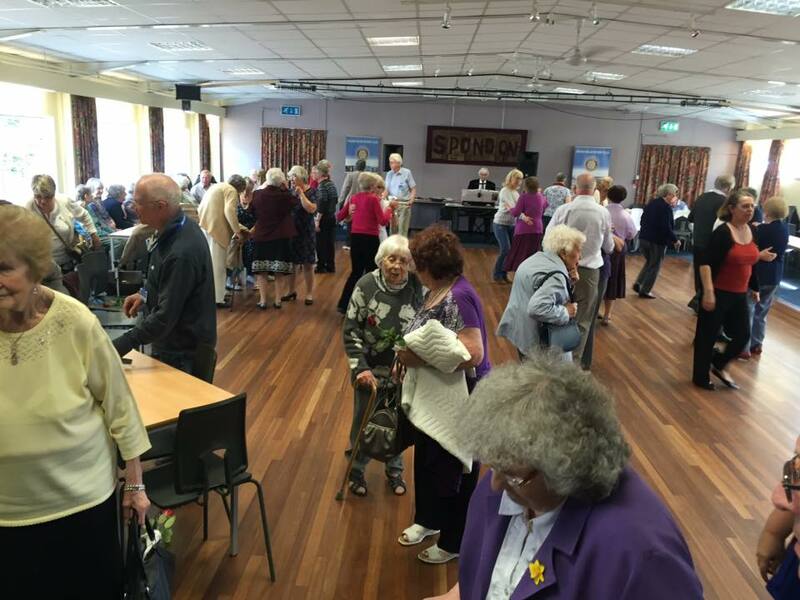 Church Wilne Rotary put on their Annual Senior Citizens' Tea Party featuring afternoon tea and entertainment for our local senior citizens. Press Release - Church Wilne Rotary visited Stanton Vale School to present a cheque to the Friends Association to help with the new play area. Church Wilne Rotary visited Ilkeston Community Hospital to present a spade and cheque to the Occupational Therapists at Ilkeston Community Hospital to help with the rehabilitation of patients". Report - Church Wilne Rotary celebrated their 33rd Charter with "An Evening with Bernie Clifton"
Press Release - Church Wilne Rotary president Adrian, also known as the Easter Bunny, calls in at the Royal Derby Hospital. Report as Church Wilne Rotary and the Cast of Buddy unveil new seating outside the Duchess Theatre, Long Eaton. Church Wilne Rotary go for a Strike! 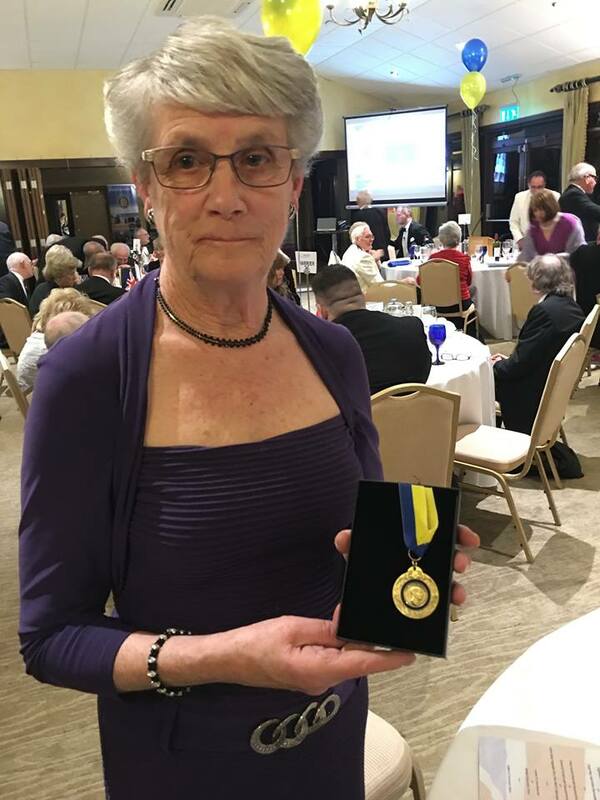 Report of the latest appearance for the Church Wilne Rotary Tenpin bowling team as they take part in the Rotary District 1220 Bowling Competition. Report of the walk around Ticknall can be found here with a map of the route here. Find out here as President Adrian joins Club members, partners and friends at a ghostly gathering. Report here as Church Wilne Rotary members, partners and friends visit Llandudno for the Rotary District 1220 Annual Conference. Members please- Apologies by Mid Day Monday using the Apologies/meal change email, directly to the Apologies email address at churchwilnerc@gmail.com or at the previous Monday meeting speak only to the Secretary. Members Only : Click Here for Apologies etc. Our thanks go to The Library of Rotary Graphics for the use of many images used within the web site. http://www.graphics-for-rotarians.org/ . in accordance with Rotary International Internet Policy Guidelines.